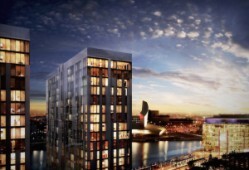 One of the most impressive residential developments that you will find in the North West, these stunning flats form part of a prestigious development consisting of four glass towers, well located in the heart of Salford Quays, just minutes away from Manchester City centre, this is one of the most exciting and ground-breaking areas for investment in the city. 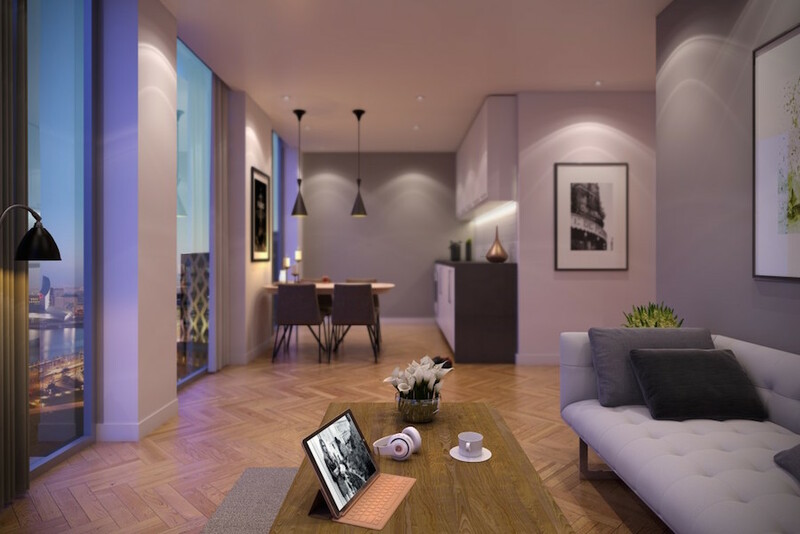 Capturing the imagination of both investors and potential residents, the development offers attractive properties at excellent prices, and comes highly recommended by Property UK as a must see for anyone looking to buy in the North West. This is an exemplary project in Manchester, constructed to first class standards by one of the largest construction companies. 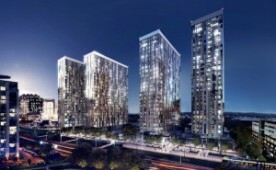 The development offers four tower buildings with a total of 275 residential flats for sale. 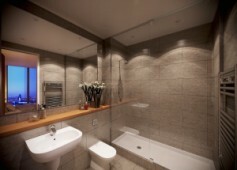 Properties range in size from studio homes up to two bedroom spacious apartments. The project is currently entering its final phase and will be completed in time for the end of 2020 – contact us to invest today at the best prices available. 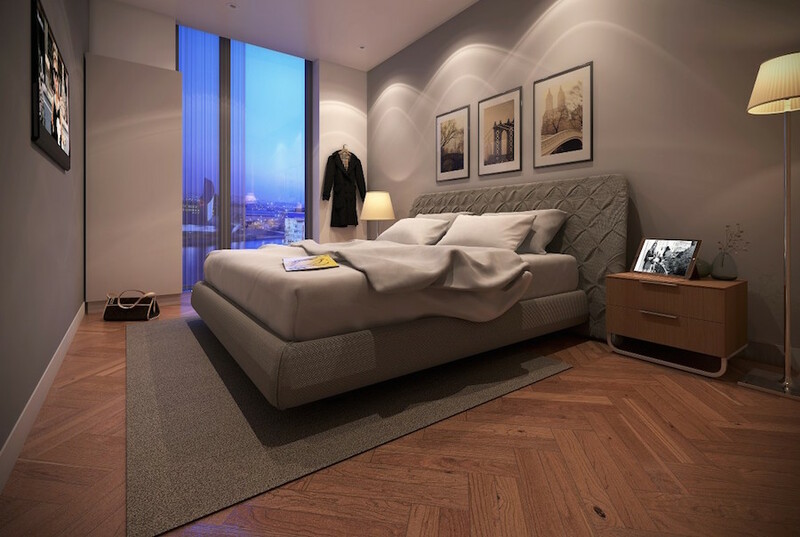 Property UK expect a rental income of around 6% net yield per annum, for more information regarding investment options, stock availability, updated prices, please contact us to speak with one of our advisors in Manchester. 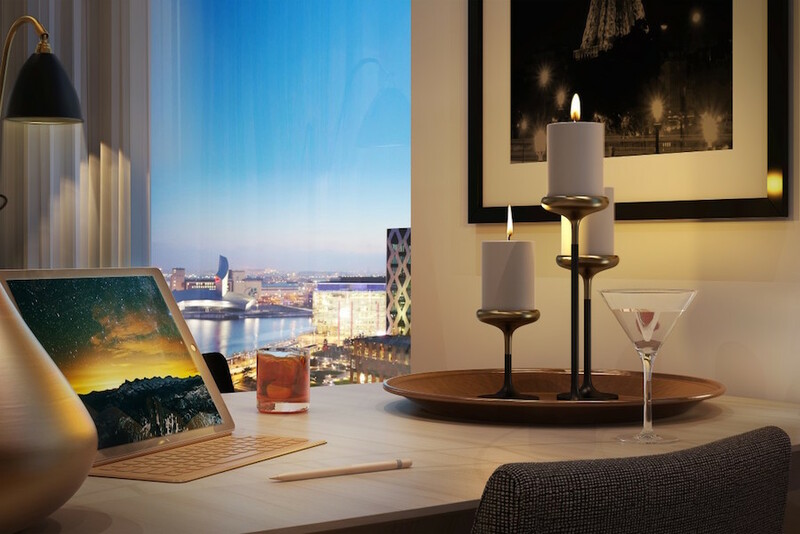 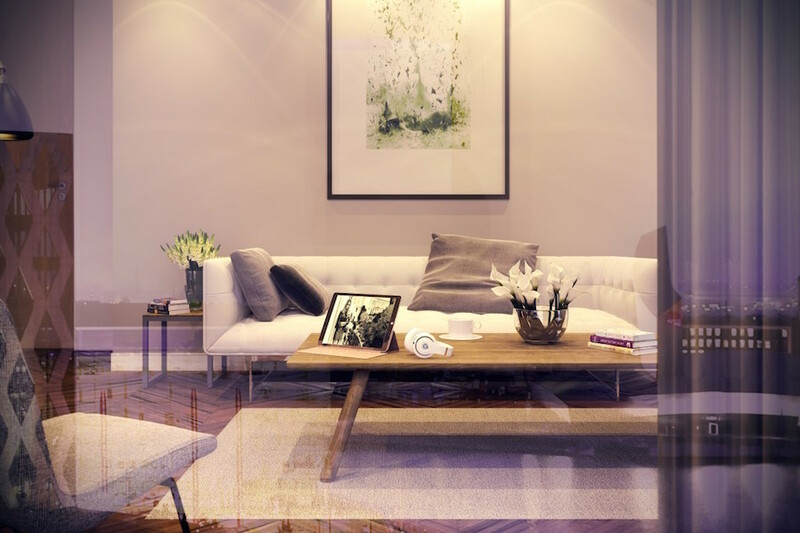 Within the immediate vicinity of the development, you will locate everything needed for everyday living in Manchester; there is a vast array of shops, restaurants, bars, and public transport all within walking distance. 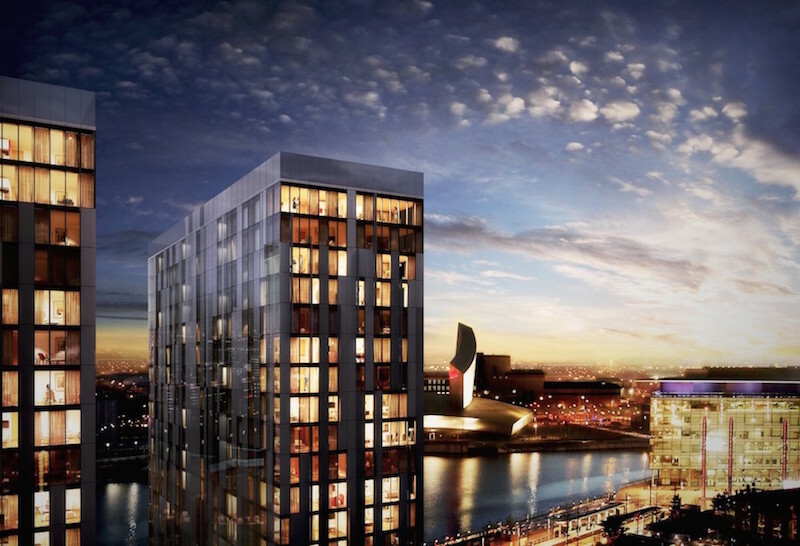 Cultural highlights close by include: Lowry Theatre, Imperial War Museum North, and lots more. 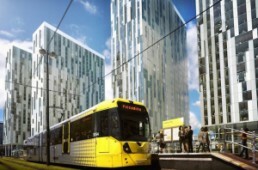 A couple of minutes away, the Harbour City Metrolink tram stop will take you towards Manchester City centre within moments, making this a perfect location for the investor looking for a buy-to-let, and a superb setting for those looking to live in Manchester. 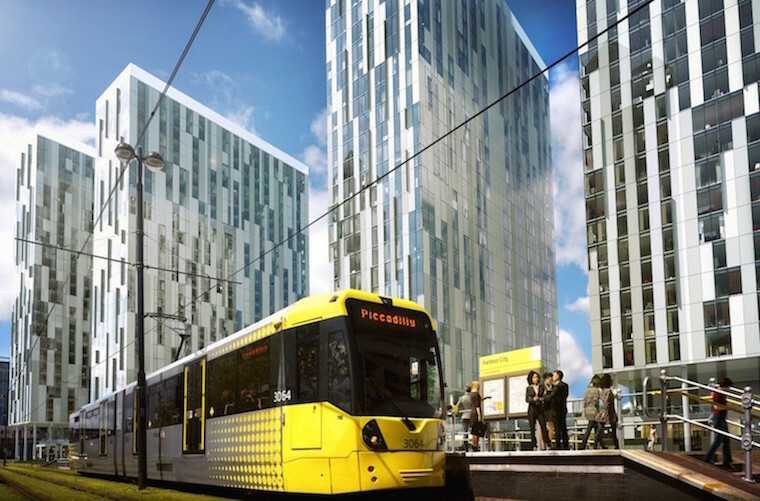 Right on your doorstep, the houses overlook MediaCityUK, the first purposely built media, technology, and communications hub in all of Europe, providing buyers with an immediate pool of potential renters with employees many companies.